This seven-villa resort for sale at Dreamland Beach, Bali, Indonesia is through Siti Purba from Exotic Property Bali. This outstanding resort, located in a Dreamland location, is comprised of three x 1-bedroom villas and four x 3-bedroom villas. They all feature marble floors, and have high quality furnishings and their own private swimming pools. The luxury resort’s facilities include a gymnasium, restaurant, large communal swimming pool and a luxurious spa. The premises are immaculately maintained throughout. Agent Siti Purba from Exotiq Property Bali says with the additional untouched land, you have the opportunity for further development, as this area attracts steadily increasing tourist numbers every year. A short drive to the beautiful white sand and turquoise waters of Dreamland, the complex is close to a number of shops and restaurants making it enticing for tourists, and it is just minutes away from an acclaimed 18-hole golf course. 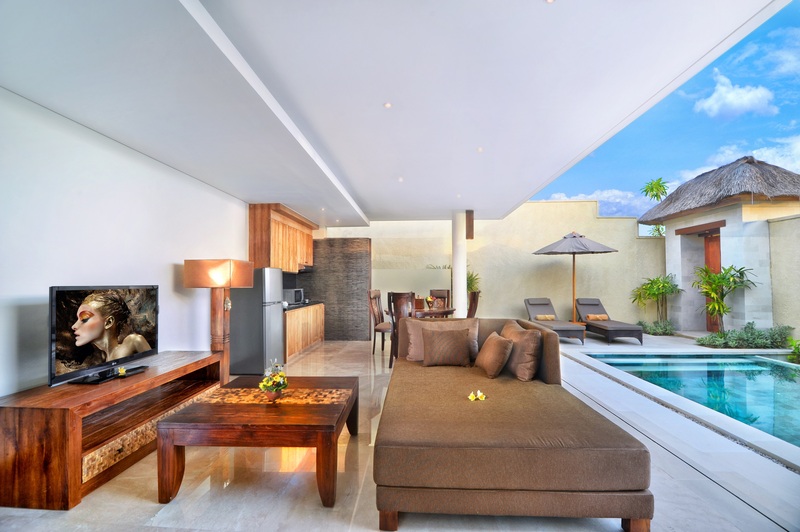 For more information, including more photographs and location information, visit the Exotiq Property Bali website. To arrange an inspection or discuss the listing price, phone or email Siti Purba from Exotiq Property Bali via the contact details below.